Semantic-Directed Clumping of Disjunctive Abstract States, ACM Symposium on Principles of Programming Languages (POPL 2017), 2017 (VM). the Astrée project: static analysis, for proving the absence of runtime errors in safety critical embedded software. Commercial support by AbsInt (see here for more info). MemCAD static analyzer, as part of the MemCAD ERC Project. MemCAD ERC Project (ERC Starting Grant). Tie Cheng, PhD at ENS Paris, graduated in September 2015. Founder and CEO of MatrixLead. 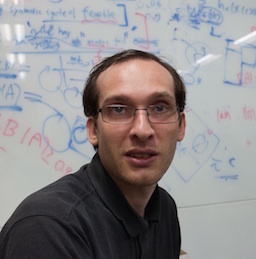 Arlen Cox, PhD at University of Colorado at Boulder and ENS Paris, co-advised with Bor-Yuh Evan Chang, graduated in November 2014. Researcher in Formal Methods. Huisong Li, PhD at ENS Paris, graduated in March 2018. Developer at TrustInSoft. Jiangchao Liu, PhD at ENS Paris, graduated in February 2018. Assistant Professor at NUDT. I teach a part of the Semantics and application to verification Course, in the first year of the Computer Science Curriculum at ENS of Paris. I teach a part of the Abstract Interpretation course, at the Master Parisien de Recherche en Informatique (MPRI) Master.